The Elbow CryoCuff combines the therapeutic benefits of controlled compression to minimize hemarthrosis and swelling, and cold to minimize pain. The cuff is anatomically designed to completely fit the elbow providing maximum cryotherapy. The Elbow CryoCuff is available in an adult size in addition to a pediatric size. 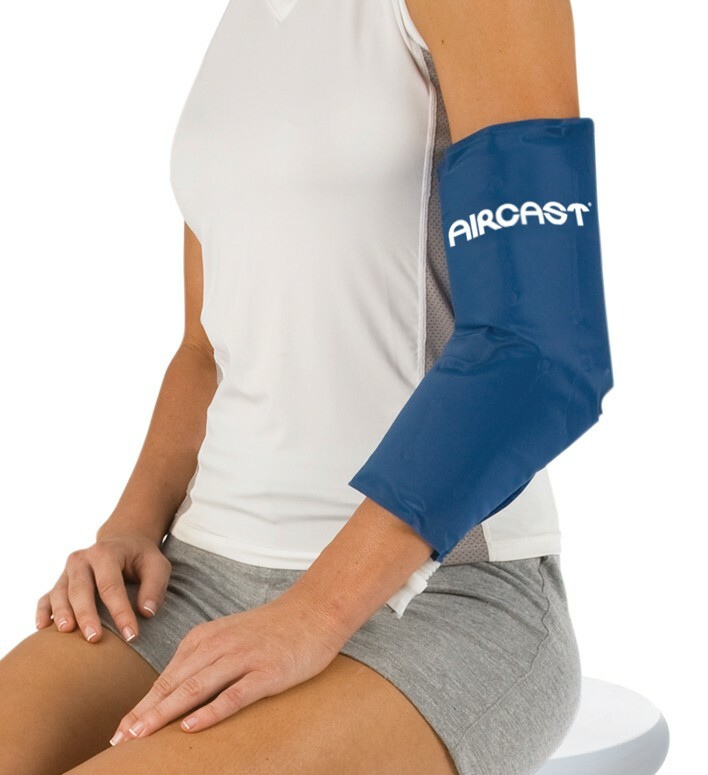 The Aircast Elbow CryoCuff can be ordered as a single cuff, or with a cooler (including a tube assembly and insulation disk). The Cooler is available separately and can be used with any model in the CryoCuff line. NON-MOTORIZED. My Olympic potential gymnast is suffering from osthocondritus. After 3 surgeries, she has managed to keep going. We are seeking a brace that will reduce joint pounding. Like a shock absorber. Any advice? Have you looked at our custom elbow braces? It would be made from a measurment of your daughters arm.